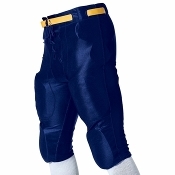 Football pants are often an after thought but any football player knows that they are a very important part of football gear. 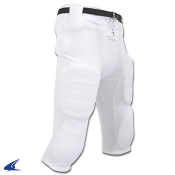 Not only do football pants provide lower body protetction, but they are an extension of the players uniform. Durable practice football pants are a necessity during training camp and those long grueling practices throughout the year. Game pants not only need to make it through a long season of gridiron battle but they need to look great as an extension of your uniform. 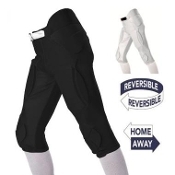 In order to provide the best for our customers as well as to save you time and money, Endzone Sports stocks high quality football practice pants and football game pants. Shop our selection from Schutt, Alleson and Champro with confidence knowing that these football pants are all Endzone Sports approved! 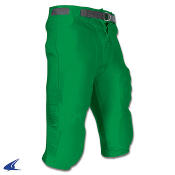 Integrated football pants - The knee and hip pads are built right into the pants. Truly innovative football apparel! 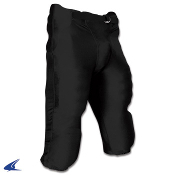 Slotted football pants - The necessary pads are slipped into built-in slots, for a solid hold and quick interchangeability. 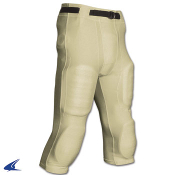 Snap-In football pants - The necessary pads are slipped into built-in slots and additional hip pads are snapped into place.